During 1980–2014, aerosols arriving from East Asia offset radiative flux increases in the western United States induced by domestic air pollution reductions. While aerosols from North American and European countries have decreased in recent decades, emissions from developing nations in South and East Asia have increased. Enlarge Image. Aerosols from U.S. industrial sources have decreased in recent decades. However, changes in emissions in other regions of the world also influence U.S. aerosol trends through long-range transport. 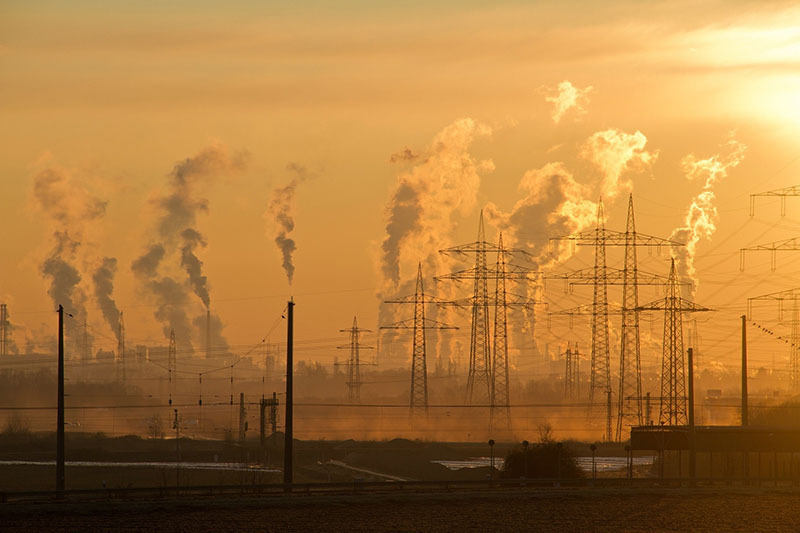 A study led by scientists at the U.S. Department of Energy's Pacific Northwest National Laboratory revealed the influence of domestic and foreign emissions on trends of aerosols and their effect on energy balance in the United States from 1980-2014. Researchers found that, in the western United States, increases in aerosols from East Asia decreased the radiative warming effect induced by reductions in U.S. emissions by 25 percent. As a result of air quality regulations, aerosol emissions from North American and European countries have decreased during recent decades. In the meantime, emissions in developing countries (e.g., in East Asia and South Asia) have significantly increased because of rapid industrial and population growth. The relative roles of domestic and foreign sources in changing aerosol concentrations and energy balance over the United States in recent decades are still not clear. Researchers quantified the relative roles of multi-decadal U.S. pollution control programs and changes in emissions in other regions of the world on aerosol concentrations and energy balance over the continental United States for the time period of 1980-2014. To do this, they used an aerosol source tagging capability in the Community Atmosphere Model (version 5), a global aerosol-climate model. Researchers found that increases in emissions from East Asia decreased the warming effect (e.g., radiative forcing) induced by reductions in U.S. aerosol emissions by 25 percent in the western United States, but had a more modest impact on U.S. air quality through changes in surface concentrations. Sponsors: This research was supported by the National Aeronautics and Space Administration's Atmospheric Composition Modeling and Analysis Program and by the U.S. Department of Energy (DOE) Office of Science, Biological and Environmental Research, as part of the Regional and Global Climate Modeling program. User Facilities: The research used computational resources at the National Energy Research Scientific Computing Center (NERSC), a DOE Office of Science user facility.